Travellers venture to Ko Lipe from around the globe for vast reefs and powdery sand in water like polished emerald and sapphire. The tiny island has developed rapidly since the 1990s, as dirt paths turned into crowded roads lined by concrete stacks. 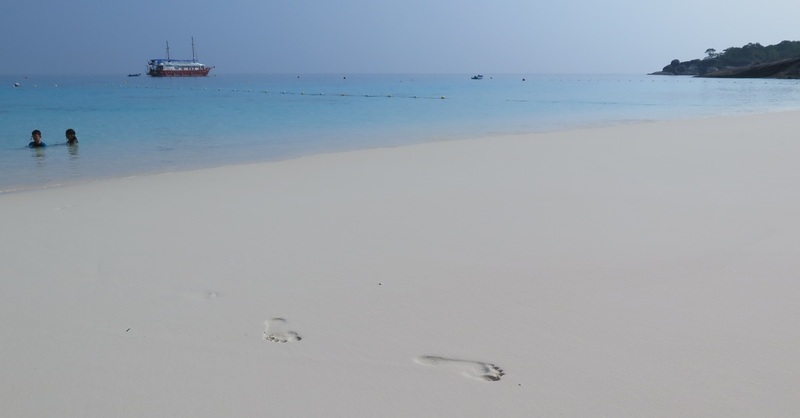 Ever-evolving Lipe still has a lot to offer, even if the drastic changes will shock those who haven’t visited for a while. Both of Lipe’s longest beaches -- Sunrise and Pattaya -- rank among the finest in Thailand. The food scene is exceptional and a clutch of bars present a more mature nightlife alternative to Ko Phi Phi, without the seediness found on parts of Phuket. You can still score bungalows for less than 1,000 baht and there’s a strong selection of midrange to upscale digs. Group or private boat tours make it easy to snorkel and dive around 21 other islands in the surrounding archipelago. Lipe was virtually unknown in the 1980s and drew only trickles of adventurous Western travellers through the turn of the millennium, when forest blanketed almost the entire island. Mainstream tourism finally caught up in the late 2000s—and from then on Lipe developed remarkably fast. Large numbers of visitors now come from China, Malaysia and Thailand itself, with big groups of moneyed Thais filing in on weekends. On a single day you’ll encounter all sorts of people from dozens of countries. Often clumped under the Thai term, Chao Lae (“Sea People”), the Urak Lawoi were Lipe’s first inhabitants after arriving more than a century ago. Tourism brought them income but also damaged their home environment, undermined their traditional ways of life and pitted their ancestral land claims against powerful business and government interests. Check out Lipe-based Project Urak Lawoi to learn more about these fascinating people. In recent years Lipe was pulled more firmly into the folds of Mu Ko Tarutao National Marine Park, which attempts to charge foreign visitors 200 baht to set foot on the island. In 2015 authorities halted virtually all construction and flagged several resorts for encroaching on land claimed by the park, mainly in the vicinity of Sunset Beach. Whether this was a land grab or a needed push to get development under control—or both—depends on who you talk to. Some say the damage was already done. A ludicrously high number of sidecar motorbike taxis now clog an island that can be walked across in just 20 minutes. Hundreds of boats bash into coral, endanger snorkellers and turn shorelines into parking lots. Once blanketed in forest, a sizeable patch of the interior became a mini-city filled with hotels, restaurants, souvenir shops and 7-elevens—yes, more than one. On the other hand, solar power and a relatively well-organised garbage and recycling scheme make Lipe look downright efficient when compared to Ko Tao, for example. At research time the beaches were immaculate, thanks in large part to the Trash Heroes who meet every Monday at 10:00 at the Walking Street gate on Pattaya Beach. Do join them if you feel like giving something back. Other ways to respect the fragile environment include staying at an eco-minded resort like Serendipity, Castaway or Gecko; using the water-refilling stations at Ricci House, Castaway and Pooh’s; and insisting that boat operators won’t damage coral before you confirm a boat tour. If you see locals or tourists being reckless towards the environment, don’t be afraid to inform national park officials at their desk on Pattaya Beach or the visitor centre at Pakbara Pier on the mainland. And if you find that Lipe is too crowded and developed for you, the pristine forests and uninhabited beaches of genuine national park islands, including Ko Adang, Ko Rawi and Ko Tarutao, are just a boat ride away. Part of the Adang (or Butang) archipelago in the Andaman Sea, just south of mountainous Ko Adang and some 67 kilometres from mainland Satun province in Thailand’s far southwestern corner, Ko Lipe (pronounced lee-pay) lies only 60 kilometres north of Malaysia’s Langkawi. Peak season on Ko Lipe runs from December to February and you may have to settle for a tent if arriving around Christmas / New Year, or Chinese New Year without a reservation. Room rates fall and crowds thin in the shoulder months of November, March and April. Island-hopping speedboats stop running in April and many businesses close in rainy season from June to October. The heaviest rain and roughest seas usually come in August and September. According to the official line, all foreign adult visitors to Lipe must buy a 200-baht ticket to the national park, though we were not asked to pay when arriving on a ferry from the mainland, nor on a speedboat from another island. Visitors using taxis or being picked up by resort transport were being forced to pay. The ticket is valid for one week; hold on to it if you’ll be heading to Ko Tarutao or elsewhere in the marine park. Lipe’s three main beaches—Pattaya (south), Sunrise (east) and Sunset (north)—rim each side of a rough triangle that forms the island’s widest point. Sealed lanes connect them and it takes only around 10 minutes to walk from one to the next. See Beaches on Ko Lipe for profiles of each of these and more. Restaurants, bars, shops, pharmacies travel offices and ATMs line Walking Street, a 600-metre-long strip connecting Sunrise and Pattaya beaches. Other lanes run further north to Sunset Beach and out to the largely undeveloped western peninsula. A small Urak Lawoi village stands behind the island’s only school just off the northern stretch of Sunrise Beach, and a smaller village stretches further inland behind the far western end of Pattaya Beach. A lot of resort staffers dwell along a lane that’s essentially the rear end of several large resorts behind Sunrise Beach’s southern end. In this area you’ll find a trail cutting over the headland that also connects Sunrise to Pattaya, with a viewpoint along the way. At Pattaya Beach and Sunrise Beach we advise against snorkelling far from shore, where boats are not always driven safely (a snorkeller died after being struck by a boat in 2013). A far safer place to snorkel—with reefs in better shape to boot—is off the north coast in the vicinity of Bila Beach and other coves found further west. Also beware of the motorbikes that often whip around blind corners on the inland lanes; thankfully they’re banned on Walking Street after dark. Lipe has two international medical facilities: the Bangkok Hospital-affiliated Southern Andaman Medical Centre next to Pooh’s towards the eastern end of Walking Street, and the Siam International Clinic on central Walking Street. Both should provide quality care and speedboat shuttles for emergencies. Both are also expensive; the old community clinic in the Urak Lawoi village behind Sunrise Beach should be fine for minor injuries and ailments. The main Lipe police station and the national park desk are both next to a tiny immigration checkpoint on eastern Pattaya Beach. There’s also a tourist police booth at Pooh’s off the Sunrise Beach end of Walking Street. Internet cafes are located on Walking Street and free WiFi is available at most resorts and eateries. Cell phones with SIM cards from Thai providers work well throughout the island and can be topped up at several shops on Walking Street.  Please sign up as a Travelfish member to download the Ko Lipe guide PDF (11.8 MB, 69 pages). Membership costs just A$35 per year (less than A$1 per week) and gives you access to over 250 PDF guides. Use the above map to find specific destinations in and around Ko Lipe which are listed on Travelfish. Bed icons indicate a guesthouse, hostel or hotel, the knife and fork is an eatery or bar and the four-way circular thingy marks sights, attractions and other points of interest. Click on any icon for a short pop-up and a direct link to the page for that spot. If you are in the area, use the teardrop icon near the top left to show your position on the map (you'll need to allow position sharing for this last feature to work).